The estimated 70,000 individuals who are distance runners or athletes involved with the MS cause, are invited to take part in an upcoming adventure relay race. The MS Run the US 2013 Relay, which is slated for April 16th through September 6th and will be divided into 22 segments, is currently seeking 10 Running Partners to take part in each leg of this coast-to-coast run. Each segment covers approximately 140 miles of running over the course of six days. All proceeds raised will support MS research. The never-before-done aspect of the relay will also raise awareness of multiple sclerosis. According to the National Multiple Sclerosis Society, MS affects approximately 400,000 Americans. Worldwide, that figure rises to nearly 2.1 million people. As if the symptoms, which include walking and balance disturbances, muscle spasticity and cognitive dysfunction, aren’t debilitating enough, a new study conducted by pharmacy benefit manager Prime Therapeutics has found that the specialty drug treatment cost for the disease is projected to exceed $50,000 per person annually by 2016. Currently such costs already account for more than two-thirds of the total cost of care. Equal parts ultra-distance running and fundraiser, the MS Run for the US 2013 Relay aims to raise monies to support multiple sclerosis research so that a cure for the disease might one day be found, thereby elimination both its physical and financial burdens. The 2013 inaugural run of the relay is currently recruiting Running Partners to take part in the event. The course will mimic the 2010 trans-continental run the event’s founder, Ashley Kumlien, ran on behalf of her mother on the 30th anniversary of her fight against MS.
A fun and thrilling challenge, the MS Run for the US relay will get underway in Los Angeles in mid-April and will wrap up in New York City five months later. In between, participants will take on a 140-mile leg of the cross-country journey, where they will run approximately 20 to 30 miles daily over the course of five to six days. Not for the athletic faint of heart, this grueling endurance expedition offers serious runners a chance to become a unique contributor to the growing movement to end MS. Only 10 slots are available to be part of this charitable expedition of a lifetime. Distance runners who would like to get in on the inaugural MS Run the US Relay can apply for a coveted Running Partner spot online at http://www.msruntheus.com/. 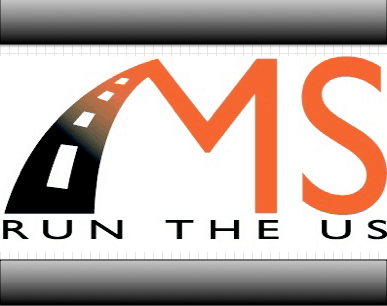 MS Run the US, Inc. is dedicated to raising awareness and funds to support multiple sclerosis research while inspiring others to get involved in the fight against MS. Founded in 2009 by Wisconsin native Ashley Kumlien of Brookfield, Wisconsin, MS Run the US, Inc. was inspired by her mother, Jill Kumlien, who has lived with MS since 1980. All donation proceeds support research through The National MS Society. For additional information on the company, please visit http://www.msruntheus.com/.